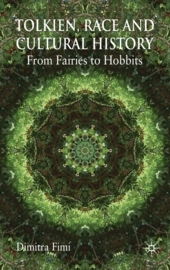 I was delighted to find out that my book Tolkien, Race and Cultural History: From Fairies to Hobbits has been shortlisted for the Katharine Briggs Folklore Award for 2009. The Katharine Briggs Folklore Award is an annual book prize established by the Folklore Society to encourage the study of folklore and to commemorate the life and work of the distinguished scholar Katharine Mary Briggs (1898-1980; Society president 1969-1972). For the purposes of the award, ‘folklore studies’ are interpreted broadly, to include all aspects of traditional and popular culture, narrative, beliefs, customs and folk arts, including studies with a literary, anthropological, linguistic, sociological or geographical bias. The winner will be announced on Tuesday 10 November 2009 after the Katharine Briggs Lecture which will be delivered by Professor John Widdowson, former president of The Folklore Society. Needless to say I am very pleased and honoured to have been shortlisted! ← Clash of the Gods – Thanks!